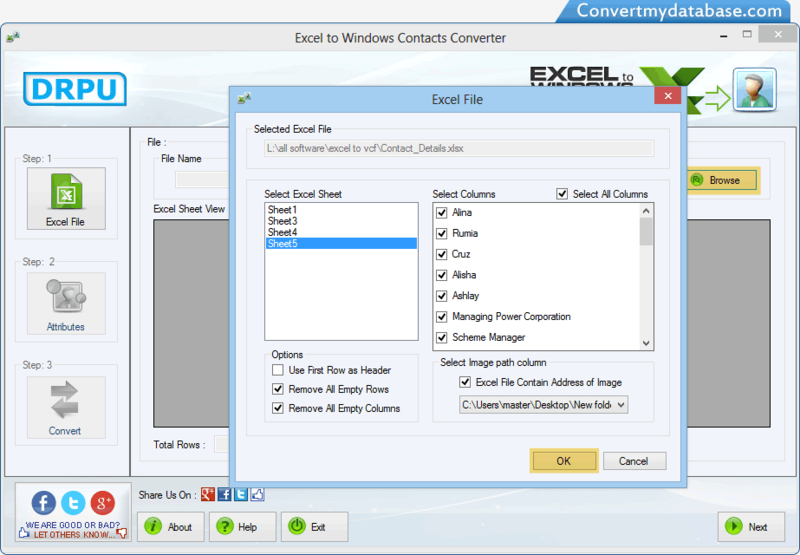 Browse excel file of contact details that you want to convert into windows contacts. 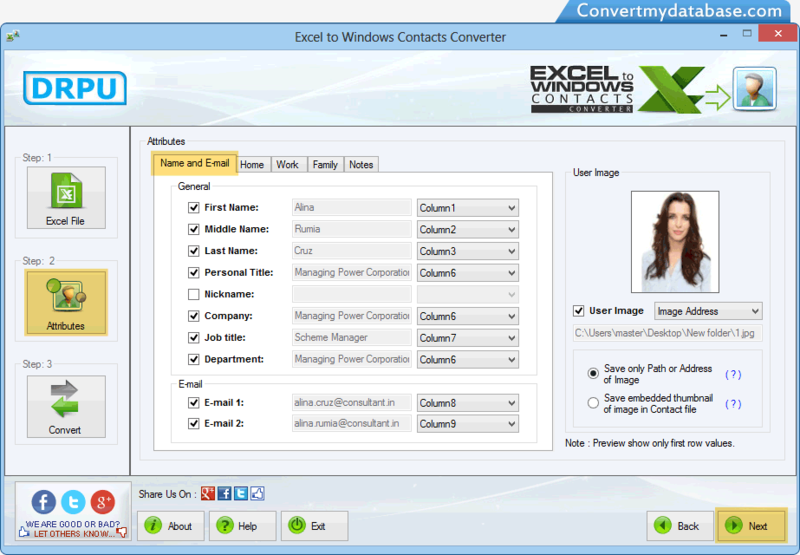 Select contact fields including Name, Emails, Phone Numbers, Home Address, Business Address etc and click 'Next' button. 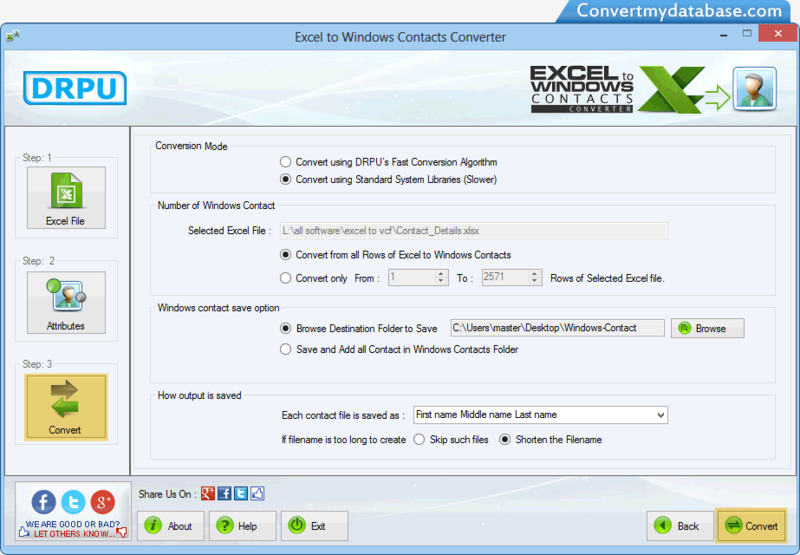 Select Conversion Mode, Number of Windows Contact and other options, then Click 'Convert' button to start Conversion Process. 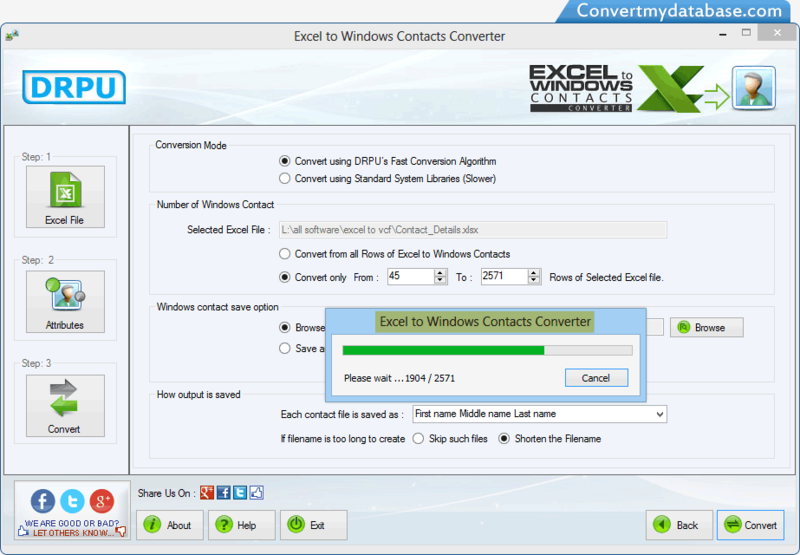 View running status of conversion process.